Vivian Joiner is the co-owner of Sweet Potatoes (well shut my mouth!! )-a restaurant in Winston-Salem, NC. Ms. Joiner is the youngest of six children and a native Washingtonian—bred to know the importance of being “civic minded.” She has recently concluded services as the Chairman of the Citizens Police Review Board and a member of the Mayor’s Board to Eliminate Homelessness. Along with her partner, Stephanie Tyson, Ms. Joiner is committed to offering employment to those re-entering the work force and helping them get a renewed sense of worth and self-reliance. She is committed to being a good steward of her blessings and a good citizen of the world. Sweet Potatoes has been open for over 15 years. The most recent project for Ms. Joiner and her partner was opening Miss Ora’s Kitchen, a cast iron skillet pan-fried chicken carry-out diner. 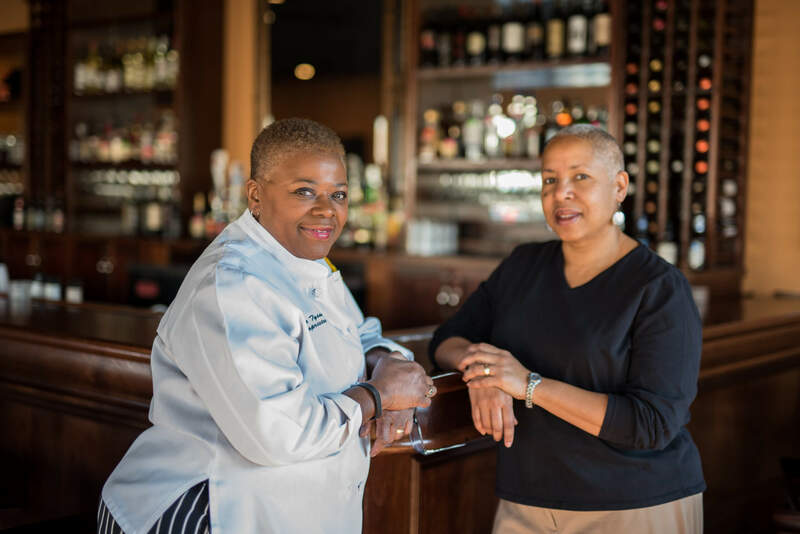 The restaurant opened mid-July 2017 and is a tribute to her partner Chef Stephanie Tyson’s grandmother, Ora Porter.